Jerry Seinfeld, Jon Stewart, George Carlin—the most famous funny folks are from right here in New York. The state has nurtured top-notch talent in comedy for decades, and thus, is home to some of the best comedy venues on the planet. 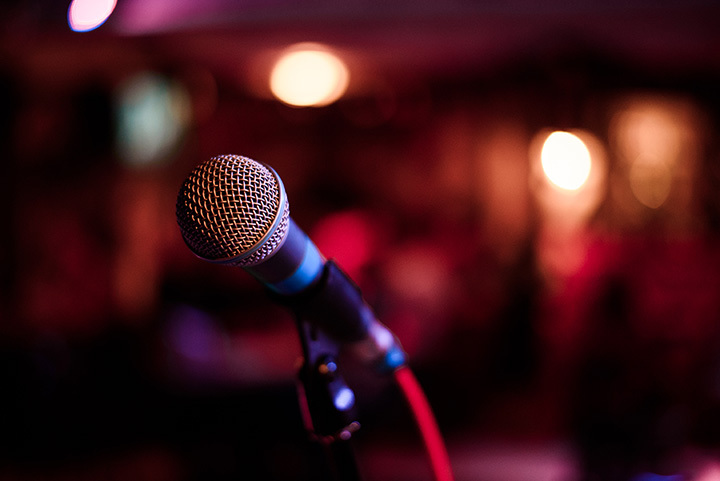 Catch everything from mainstream acts and rising stars, to novice comedians just getting their start at these 10 great comedy spots in the state! Often ranked as the best comedy club in New York, this Macdougal Street stage has been hosting comedy shows since 1982 and features regular performers like Louis C.K. and Amy Schumer. Leading New York City’s alternative comedy scene, Upright Citizens Brigade keeps its shows affordable ($12, with no drink minimum) while offering regular training and improvisation classes to budding acts. A narrow, intimate venue, The Standing Room (an offshoot of The Stand) brings creative energy and innovative cocktails to comedy fans in the outer boroughs. This beautiful comedy club and upstairs restaurant was named “best comedy club” by New York Magazine. The 80-seat venue features top talent, serves great food, and imposes no drink minimums on the audience. Helium Comedy Club brings household-name comedians to Buffalo and also hosts regular open-mic nights, giving locals the chance to test-drive their skills. Started by Caroline Hirsch in the 1980’s, Carolines has since become a Times Square comedy destination, hosting shows seven nights a week with famous names like Dave Chappelle and Tracy Morgan. Hosting top comedians since the 80s, New York Comedy Club is a solid choice for a night of laughter. The Gramercy club has an ambient setting, regular drink specials, and an “anything-can-happen” vibe. With regular weekend acts, this Albany comedy club brings a dose of laughter to Albany’s nightlife scene. Seating is arranged in tables of four, and food and drinks are served during the show. This large Chelsea comedy venue has been the setting of several TV shows, including “Last Comic Standing” and “Curb Your Enthusiasm,” and regularly hosts mainstream comedians like Jim Gaffigan and Chris Rock. View more New York Comedy Clubs.